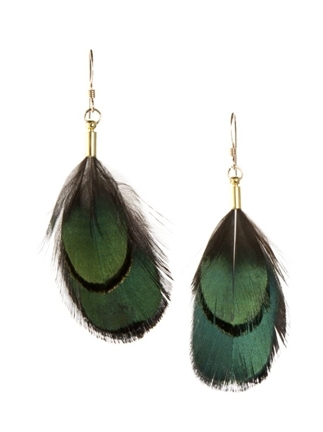 I've been looking for feather earrings that pop but don't dangle past my shoulders! I love the look of long feather earrings, but it's just not something I could do on a regular basis - too festival chic for me! So these are perfect and are a pretty affordable $42 at National Jean Co. Oh look, they come in white with a brown trim too!